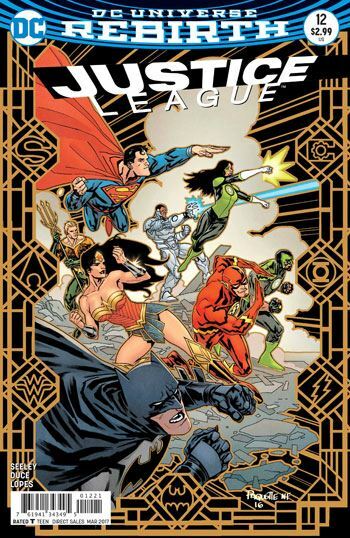 Justice League 12 is not only the best issue of this new run, it brings back Maxwell Lord and some of the elements of his pre-Flashpoint past, without cracking open too many continuity doors. In its simplest form, this issue is devoted to one long conversation that Maxwell Lord has with Amanda Waller. But that basic structure simply allows Tim Seeley to explore Lord’s past, as well as give the two old enemies some great banter. This is all a prelude to the Justice League vs Suicide Squad miniseries, but while it touches on those teams, it also fills the reader in on what has become of Checkmate during Rebirth, and how Maxwell Lord took control of it. 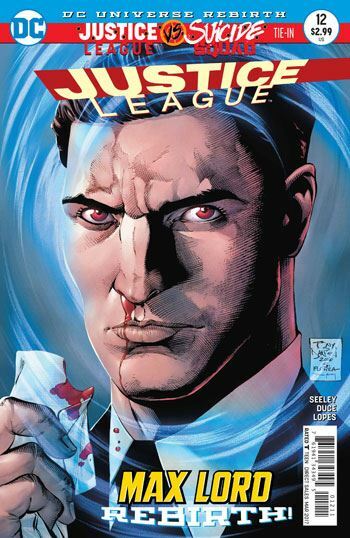 There is now no period in which Maxwell Lord ran the League. Those fun days have been erased. But to have worked them back in would have opened a whole barrel of monkeys. Similarly, because Ted Kord is up and around in the pages of Blue Beetle, it seems Max never wound up killing him. The Maxwell Lord we are presented to bears more similarity to the killer than the jokester, and his mind control powers are shown to date back to his childhood. They are also more clearly defined in this story than in past tales. Max is not fully able to force people to do things. He can merely nudge them to do what they would be inclined to do anyway. As he puts it, permission, not mandate. A top notch re-introduction to the character, and a great sidebar to Justice League vs Suicide Squad. And, as I said, the most readable issue of Justice League since Rebirth began.